Let C be the number of questions answered correctly. Let W be the number of questions answered wrongly. Let U be the number of unanswered questions. Given that, he attempts only 160 questions. i.e., U = 200 – 160 = 40. Solving (1) and (2), we get C = 128. Hence the number of correct answer is 128. Total number of questions = 120. Given that, C = number of correct answers and W = number of wrong answers. His score = 150 points. 4C – W = 180 ……(2). Solving (1) and (2), we get C = 52. Hence, the required number of correct answers is 52. 3. In a game of Chess, a boy lost 3 rounds less than he won. He can score 4 points for a win and loss 2 points for a loss. How many rounds, in all, have he played if his score is 46? a) 37 b) 17 c) 46 d) none of these. Then, number of rounds won by him = X+3. Total rounds played by him = X + X + 3 = 2X+3. He score 4 points for a win and loss 2 points for a loss and his total score is 46. Therefore, 4 ( X+3 ) – 2X = 46. Required total number of rounds = 2X + 3 = 37. 4. In a bus stand, there are two services namely A and B. Every 10 minutes buses will leave from A and this service works from 6.10 am to 2 pm. The service at B starts at 2.20 pm and for every 20 minutes buses will leave from the bus stand. Find the probability of getting bus from service B between 2.20 pm to 2.50 pm, if service A is late by 1 hour. Usually service A starts at 6.10 am. Since the service is late by 1 hour, the first and last bus will leave by 7.10 am and 3 pm respectively. Note that, there is a bus for every 10 minutes. Number of buses leaving between 2.20 pm to 2.50 pm is 4 and the timings are 2.20 pm, 2.30pm, 2.40pm and 2.50pm. There is a bus for every 20 minutes from service B. Number of buses leaving between 2.20 pm to 2.50 pm is 2 and they start at 2.20 pm and 2.40 pm. Therefore, 4 buses from A and 2 buses from B are available. The probability of getting bus from B = buses from B / total number of buses from A and B. The man wants to go to city A and he arrives station in between 11.25 am and 12.25 pm. First train to city A is at 9 am and there is a train for every 15 minutes. Trains for city A will leave at the following times : 9 am, 9.15 am, 9.30 am,…,11.30 am, 11.45 am, 12 pm, 12.15pm, and so on. Number of trains for city A between 11.25 am and 12.25 pm is 4. First train to city B is at 10.15 am and there is a train for every 25 minutes. Trains for city B will leave at the following times: 10.15 am, 10.40 am, 11.05 am, 11.30 am, 11.55 am, 12.20 pm, and so on. Number of trains for city B between 11.25 am and 12.25 pm is 3. Therefore, buses will reach the stop at the following times: 8.20am, 8.50am, 9.20 am,…,12.20 pm, 12.50 pm, 1.20 pm and so on. Between 12.15 pm and 1.15 pm, two buses will reach the stop at 12.20 pm and 1.20 pm. Therefore, the person will get 2 buses from X. The first bus will leave by 7 am and reach the bus stop in 15 minutes, i.e. at 7.15 am. There is only one bus for first 1 hour. i.e., the second bus will leave after 8 am. Note that, the number of buses leaving from Y is increased by 1 per hour. From 8 am to 9 am, two buses will leave from Y and reach the stop between 8.15 am to 9.15 am. And from 9 am to 10 am, 3 buses will leave from Y and reach the stop between 9.15 am to 10.15 am. From 12 pm to 1 pm, 6 buses will leave from Y and reach the stop between 12.15 pm to 1.15 pm. Therefore, the person will get 6 buses from Y between 12.15 pm to 1.15 pm. Probability of getting bus from Y between 12.15 pm to 1.15 pm = Number buses from Y in between 12.15 pm to 1.15 pm / Total number of buses from X and Y in between 12.15 pm to 1.15pm = 6/(2+6) = 6/8 = 3/4. 7. An express A starts at 2.30 pm from Karnal station and travel towards Sirsa station at a speed of 80 km per hour. Another express B starts at 4.30 pm from Karnal to Sirsa at the speed of 100 km per hour. How far away from station Karnal will the two trains meet? Answer : c) 800 km. Train A starts at 2.30 pm from KARNAL to SIRSA. Train B starts at 4.30 pm from KARNAL to SIRSA. Let they meet H hours after 2.30 pm. We have to find the distance traveled by A in H hours or by B in (H-2) hours. Speed of B = 100 km/hr. Note that, it starts at 4.30 pm, that is 2 hours later than A. Therefore, we would find the distance in (H-2) hours. We know that trains meet after H hours and this means distance covered by train A in H hours equals distance covered by train B in H-2 hours. That is, they meet after 10 hours from2.30 pm. Hence, the required distance = 80H = 80 x 10 = 800 km. a) 10.45 pm b) 12.45 pm c) 11.45 pm d) none of these. Answer : a) 10.45 pm. Let the distance between UP and Delhi be X km. Time taken by P to reach UP (to cover X km) = 8 pm to 1 am = 5 hours. Speed of P = distance / time = X/5 km/hr. Time taken by Q to reach Delhi (to cover X km) = 8 pm to 2 am = 6 hours. Speed of Q = X/6 km/hr. Let them meet Y hours after 8 pm. Distance covered by Q at Y hours at X/6 km/hr = XY/6 km. Since they travel in opposite directions, during the time when they cross each other, the sum of the distance covered by the first and second trains will be equal to the distance between Delhi and destination at UP. Therefore, they meet after 2.72 hours from 8 pm. That is, 8 pm + 2 hours + 45 minutes (nearly). Hence, the answer is 10.45 pm. 9. Chennai express starts at 8 am from A towards B and Mumbai express starts at 8 am from B towards A. After their meet, Chennai express takes 18 hours to reach B and Mumbai express takes 8 hours to reach A. Then which of the following is their speed’s ratio? Answer : b) 2 : 3. Here they start at same time ( 8 am) and travels in opposite direction. (After their meet), Chennai express takes 18 hours to reach B and Mumbai express takes 8 hours to reach A.
b = 8 and a = 18. By using the above note, required ratio = sqrt(8) : sqrt(18) = 2 sqrt(2) : 3 sqrt(2) = 2 : 3. Hence, the answer is 2 : 3. 10. In a dance school, there are 14 girls and 15 boys. In how many ways, a group consisting of 3 girls and 7 boys can be formed for a competition? Now, use the combination method, nCr = n! / r! (n-r)! 3 are selected from 14 girls in 14C3 ways = 14! / 3! (14 - 3)! = 14! / 3!11! = 364 ways. Hence the required number of possible ways = 364 x 6435 = 2342340 ways. 11. The players for district football team are selected from three different colleges and each college has 5 top players. Except captain and goalkeeper, each 3 are selected from each 3 colleges. Find the number of possible ways of such selection. 2 players(captain & goalkeeper)selected in 1 way. Similarly, other 3 are selected from other two colleges. 12. In a college cricket club of 22 players, captain and wicketkeeper are selected from seniors team. For remaining players they have to select from 8 seniors and 12 juniors. Now, for a new team of 11 players except captain and wicketkeeper, out of 9 they select 4 from juniors and 5 from seniors. Find the number of methods to select players of new team. To form a new team of 11 players, they select 5 seniors out of 8 and 4 juniors out of 12. Now, use the combination method, nCr = n! / r!(n-r)! 2 players (captain & wicketkeeper) are already selected = 1 possible way. 13. Find X's age which equals the number of grand children of a man who has 4 sons and 4 daughters. Each daughter of the man's wife have 3 sons and 4 daughters and each son of the man's wife have 4 sons and 3 daughters. We have to find the number of grand children of the man. Given that, he had 4 sons and 4 daughters. Each son has 4 sons and 3 daughters and each daughter has 3 sons and 4 daughters. Total number of grandchildren is 28+28 = 56. Hence the required age is 56. 14. A man have many daughters, each daughter have as many sons as her sisters. The product of the number of daughters and grandsons of the man lies between 40 and 50. Find the number of daughters of the man. Let N be the number of daughters of the man. Then each daughter has N-1 sisters. Given that, each daughter has as many sons as her sisters. That is, each of them has N-1 sons. And the required product = N(N-1) x N = N x N(N-1) which lies between 40 and 50. If N = 1 then N x N(N-1) = 0. Therefore the possible value of N is 4. Hence the man has 4 daughters. 15. Two men A and B have equal number of daughters and A have 1 more son than B. Each son and daughter of A have 2 sons and 2 daughters and each son and daughter of B have 3 sons and 3 daughters. If A and B have equal number of grandchildren then find the number of sons of B.
a) 3 b) 4 c) 5 d) none of these. Let D be the number of daughters of A and B. Let S be the number of sons of A. Then S-1 be the number of sons of B. Now, number of grandsons of A = 2S + 2D. Number of grand children of A = 2S + 2D + 2S + 2D = 4S + 4D. We have to find the value of S-1. S-1 cannot be a negative number, so (0,3) is not possible. Therefore, possible S-1 values are 0,1,2. Hence the answer is option d.
1) Mr.X has one older brother and three younger sisters. 3) Mr.Z has three older brothers and one younger sister. First, we need to think about X, Y and Z as who is the oldest among the three and who is the youngest among the three. X is the oldest, Y is next and Z is the youngest. X has an older brother and Z has a younger sister. Try making a chart laying out all the three conditions given in question, and mark the gender of each known sibling. Then, it is clear that X is male and Y is female. Based on the above chart, there should be at least 6 siblings. 1) A & C say " We have 2 more brothers than the number of sisters"
2) B says " I have 2 more brothers than twice the sisters "
Let g be the number of girls in the family. Let b be the number of boys in the family. Consider statement 1, A and C would have b-2 brothers (excluding them). This b-2 is equal to two more than the number of sisters they have. Now, from statement 2, B would have g-1 sisters (excluding herself) and b brothers. She has 2 more brothers than twice the number of sisters. Therefore, Twice the number of sisters = 2(g-1) which is equal to 2 + number of brothers. Solving (1) and (2), we have g = 4 and b = 8. Hence the number of siblings = 4+8 = 12. 18. Aravind and Bavya are friends. 1)Aravind's sister has thrice as many sisters of Bavya as brothers. 3)Twice Bavya's brother's sisters equals the number of boys in Aravind's family. Let the number of girls in Bavya's family be d.
Aravind's sister has 'a' number of brothers. Consider statement3,"Twice Bavya's brother's sisters equals the number of boys in Aravind's family"
And Bavya has c = 4 brothers. Hence, Aravind has 1 more brother than Bavya. Give answer (a) if the data in Statement I alone are sufficient to answer the question, while the data in Statement II alone are not sufficient to answer the question. Give answer (b) if the data in Statement II alone are sufficient to answer the question, while the data in Statement I alone are not sufficient to answer the question. Give answer (c) if the data either in Statement I or in Statement II alone are sufficient to answer the question. Give answer (d) if the data even in both Statements I and II together are not sufficient to answer the question. Give answer (e) if the data in both Statements I and II together are necessary to answer the question. 19. If q is an integer, then sqrt(p2 + q2) is an integer? From statement I, p2 + q2 is an integer then the sqrt(p2 + q2) is not necessarily an integer. For example, 22 + 32 = 13 is an integer. But sqrt(13) is not an integer. So, statement I alone is not sufficient to answer the question. So, sqrt(p2 + q2) = sqrt(4q2) = 2q. Since, q is an integer then 2q is also an integer. so, II alone is sufficient to answer the question. Hence, the answer is (b) the data in Statement II alone are sufficient to answer the question, while the data in Statement I alone are not sufficient to answer the question. 20. Is p + q = zero ? From statement I, pq < 0.
either p or q is a negative number, i.e., -p and q or p and -q. But it does not gives the equivalence of p and q. Then I alone is not sufficient to answer the question. p = q or p = -q or -p = q or -p = -q. Therefore, we would not have the clear value of p and q. Hence the answer is option e, since the data in both Statement I and II together are necessary to answer the question. Closest match to the above solution is option d)X=1,Z=0. Answer : D = 8. By mere glancing we can say A=1 because maximum possible carry by adding a three digit number and a two digit number is 1. From the it is obvious that the three digit number (XYZ) added to the two digit (XZ) is a four digit number (ABCX). Any three digit number lesser than 900 will not give a four digit number when added even with the maximum 2 digit number. Therefore, the three digit number has to be greater than 900. This means XYZ should be between 901 and 999. This implies that the digit X = 9. Now we have X=9, A=1 and B=0. From the 3rd column of addition problem, we have Y+Z=X (in case if Y + Z does not generate a carry) or Y+Z=10+X (in case if Y + Z generates a carry). Y+Z=X or Y + Y = 9 ...eqn1. By observing the subtraction problem, from the last column we have Y-Z=X (if Y > Z) or 10 + Y - Z = X (if Y < Z and we borrow 1 from previous digit). Since X=9, Y-Z=9 is not possible as two 1 digit numbers when subtracted from each other can never give a 9 as result. Or Y-Z = 1 ...eqn2. Solving eqn1 and eqn2 we have Y=4 and Z=5. Hence X=9, Y=4, Z=5, A=1 and B=0. (XYY + XZ) = (944 + 95) = 1039. (XYY - XZ) = (944 - 95) = 849. Hence the answer is D = 8. 23. On her way to Office, Sheela reaches a temple at 2/3rd distance of her journey and bus stand at 1/6th distance of her journey. The time taken by her to travel between temple and bus stand is 15 minutes. Also, she reaches bus stand at 7.30am. At what time she started from house? And when she reached her office? As given, during 2/3rd of her journey she reaches temple and at 1/6th of her journey she reaches bus stand. Fraction of distance between bus stand and temple = 2/3 - 1/6 = 3/6 = 1/2. This means that the distance between temple and bus stand equals half of the total distance from her house to office. From our above calculation and given data we can infer that the time taken to cover 1/2 (half the distance) of her journey is 15 minutes. Then it is obvious that the time taken for whole journey would be 30 minutes (15 x 2 = 30 minutes). The time taken to reach bus stand = 1/6 * 30 minutes = 5 minutes. From statements, we know that she reaches bus stand at 7.30a.m. 24. A boy leaves school at 5.00p.m and starts to his home. In the way, he reaches a shop at 1/4th of his journey and spends 10 minutes there. Suppose he does not spend time in shop, he will cover 1/2 (half the distance) of his journey. At what time he reaches his home? It is indirectly implied that the time taken to travel 1/2 (half the distance) from 1/4th of the distance is 10 minutes. i.e., The time taken to reach (1/2 - 1/4) = 1/4th of the total distance is 10 minutes. Therefore the time taken to reach home from school i.e time to taken to cover the entire distance is 10/(1/4) = 10 x 4 = 40 minutes. Additionally he spends 10 minutes at that shop. Therefore his total journey time including his time at shop = 40 + 10 = 50 minutes. Since he leaves school at 5.00 pm, he will reach his home at 5.00 pm + 50 minutes = 5.50 pm. 25. Agil is twice as fast as Mugil.Mugil is thrice as fast as Annie. The distance covered by Annie in 54 minutes will be covered by Mugil in ___ minutes. Let Annie's speed be X km/hr. Its given, Mugil is thrice as fast as Annie. Therefore Mugil's speed be 3X km/hr. Also it is said Agil is twice as fast as Mugil. Therefore, Agil's speed = Mugil's speed x 2 = 6X km/hr. For a given distance, the time taken will be inversely proportional to speed. If Annie takes 6 minutes then Mugil takes 2 minutes. If Annie takes 54 minutes then Mugil takes [2/6 * 54]= 18 minutes. Hence the answer is 18 minutes. 26. In a family there are several brothers and sisters. Every 2 boys have brothers as many as sisters and each girl has 2 brothers less than twice as many brothers as sisters. Now find the number of boys and girls. Let b be the number of brothers and s be the number of sisters in the family. Consider any two boys. They would be having b - 2 brothers (excluding the two). But this number is equal to the number of sisters they have. Each girl will have s - 1 sisters. Twice the number of sisters = 2(s - 1). 2s - 4 = b ---- (2). 27. Suppose your daughter has brothers as many as sisters and twice the number of your sons is same as the number of daughters. How many kids you have? Let g be the number of daughters and b be the number of sons. Therefore you have 2 daughters and 1 son which totals to 3 kids. Hence the answer is 3. Let A be the number of boys in Geetha's family. let B be the number of girls in Geetha's family. let C be the number of boys in Leena's family. let D be the number of girls in Leena's family. We have to find the value of A + D.
Since A number of boys are in Geetha's family, every brother will have A - 1 brother. we know the fact that addition of two equal numbers must be an even number. among the given options 6 is the only even number. hence the answer is 6. 29. Jambu was 60 months old when Padmanabhan joined Infosys. Padmanabhan had joined Infosys 80 months back. Mohanraj is now eighty months more than six times the age of Jambu when Padmanabhan joined Infosys. The total of the ages of Jambu, Padmanabhan and Mohanraj is 100 years after lapse of 8 1/3 years. 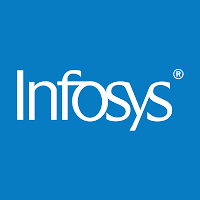 What was the age at which Padmanabhan joined Infosys? Answer : c) 20 years. It is given that after 100 months, the sum of the ages is 100 years or 1200 months. We have to find, Padmanabhan's age when he joined Infosys. i,e we have to find his age before 80 months. 30. At the time of his marriage Arunachalam was 29 years old. During marriage, his wife was younger by 3 ½ years.20 years afterwards the total ages of Arunachalam, his wife and their only son Kamalraj is 110 years. What will be the age of Kamalraj forty years from now? Since we have found that the son was 15.5 years old 20 years after marriage, adding 20 to 15.5 will give age of Kamalraj after 40 years. Therefore answer = 15.5 + 20 = 35.5 years =35 1/2 years. 31. When Arunraj joined Engineering College Bobbiliraj was 34 months old. Sunilraj’s (father of Arunraj) age was two months less than 14 times the age of Bobbiliraj. Arunraj’s age was six months more than six times the age of Bobbiliraj. Now, Bobbiliraj has attained the age of Arunraj when he (Arunraj) joined the Engineering College. What will be the total age of all the three – Bobbiliraj, Arunraj and Sunilraj now? d) 110 years and 6 months. Answer : c) 103 years and 10 months. Current ages of Sunilraj and Arunraj can be found by adding the time elapsed (176 months) to their previously calculated ages. Total ages of the three = 210 + 650 + 386 = 1246 months = 103 years and 10 months. How many dogs , parrots and Goldfish are there with Raman? All the statements said by Raman will be true only if he has 2 dogs, 2 parrots and 2 gold fish. i.e There are 6 pets in total with 2 of each kind. This means, except 6 - 2 = 4, all are of a particular kind. This is what is being said in all the statements. OF all cell phones I have, except 7, all are LG cell phones. How many Nokia, Samsung and LG cell phones? Again this has to be solved by looking at options one by one. While we are leaving the exercise of inspecting each option for your practice, we will just see why option c is right. Option c states that there are 3 Nokia cell phones, 4 Samsung cell phones and 2 LG cell phones. iii) Except 2 LG + 4 Samsung = 6 cell phones, all the remaining 3 are Nokia phones. All the above three interpretations coincide exactly with those given in question. Hence option c has to be right. Of all the independent house I own, except 10 all are single bed room houses. How many two bed room / three bed room / single bed room houses did Saravanan own? This is very much similar to the first and is much easier than second question. 35. M/S. GRT Grand Hotels, Salem built their hotel recently. They wanted to decorate the Enquiry counter in a grand manner. They used square plates for this purpose. The square board is of size 41” x 41”. The carpenter in charge of decoration uses nails all along the edges of the square such that there are 42 nails on each side of the square. Each nail is at the same distance from the neighbouring nails. How many nails does the carpenter use for each square decoration board? To start with one nail can be fitted on each of the corners. Between two nails on any edge 40 nails have to be fitted so that the count becomes 42 when counted on any edge. 36. Ms. Ganesh Mahal, Coimbatore wanted to present each of its customers with a momento rectangle in size. The momentos were of size 25 x 20 cm. The company requested the carpenter to make it in such a way that both 25 cm sides should have 24 nails each and the shorter sides should have 10 nails each. How many decorative nails the carpenter would have used in each momento? To begin with there should be one nail in each of the corners. There should be 22 nails on each of the two longer sides so that the count comes to 24 nails on each of those sides. There should be 8 nails on each of the shorter sides so that the count becomes 10 nails on each of the shorter sides. Total nails = 4 corner nails + 2 x 22 nails (longer sides) + 2 x 8 (shorter sides) = 4 + 44 + 16 = 64 nails. 37. Ramnath and Company was celebrating Silver Jubilee celebrations and the authorities wanted to present a Square cardboard momento fitted with decorative pins on all the four sides. They fitted 36 decorative pins with 1 cm distance between any two pins and with equal number of pins when counted on any side. Find the dimension of the cardboard. To find the dimension, we have to find the number of pins on each of the sides of the square cardboard. Similar to solutions of previous questions, there will be 4 corner pins. Corner pins when added with pins on edges should amount to 36 as given. Let the number of pins in between the corner pins on each of the edges be x. Therefore number of pins on any of the edge = 2 corner pins + 8 pins in between the corner pins = 10 pins. 38. Jaya Towers and Karuna towers are two tall buildings standing 400 metres apart. Two fast flying birds were sitting on top of these two towers and were aiming at catching the grains put up in one place. Jaya Tower’s height is 300 metres and the grains 160 metres apart from Jaya Towers. Both the birds were flying down at the same speed and reached the grains spot at the same time. What is the approximate height of Karuna Towers? Answer : a) 240 metres. Distance of grains spot from Jaya Towers -- 160 metres. 39. Two famous temples, one on each bank of a river are there, opposite to each other. One temple Siva Temple -- is 54 m high. From the top of this temple, the angles of depression of the top and the foot of the other temple —Vishnu Temple are 30 deg. And 60 degrees respectively. Find the width of the river and the height of Vishnu Temple tower. a)24.3m, 18 m b)31.14m ,36 m c)34.5m ,54 m d) none of these. Let AB and CD be the two temples and AC be the river. Angle ACB = 60 deg., angle EDB = 30 deg. 40. Satish was looking at a new building Kohli Towers --constructed having height of 200 m. The angle of elevation of the top of building from a point on ground is 30 deg. What is the distance of the point from the foot of the building? 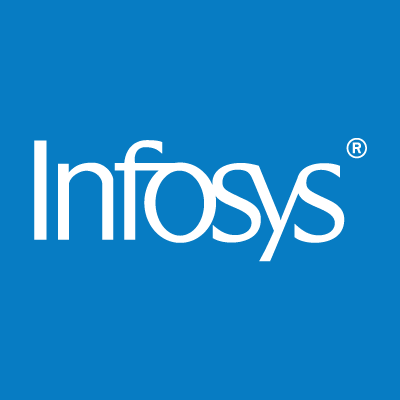 0 on: "Fully Solved Infosys Placement Papers"